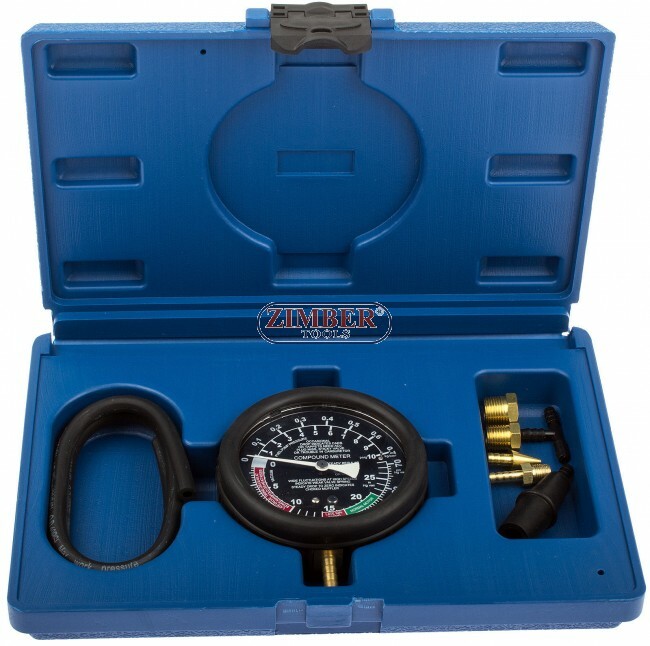 Professional Vacuum & Fuel Tester, ZK-341. 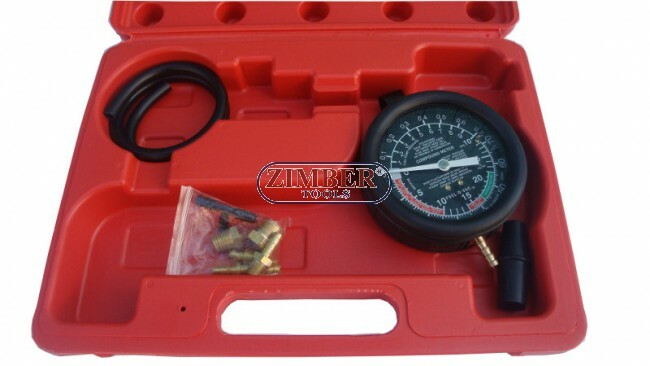 TU-1 Professional Vacuum & Fuel Tester. 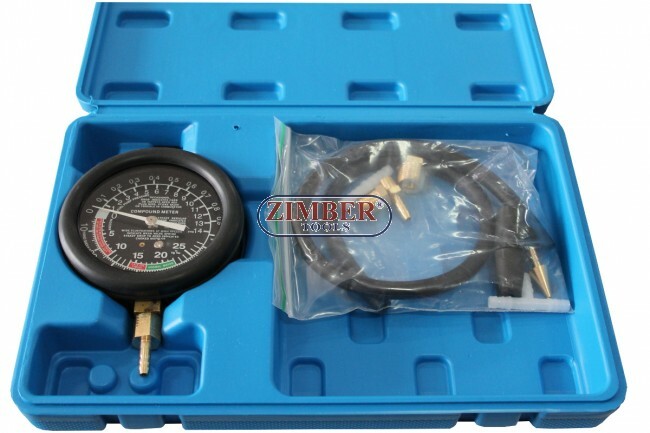 Extra long heavy-duty rubber hose and 14mm/18mm manifold adapter. 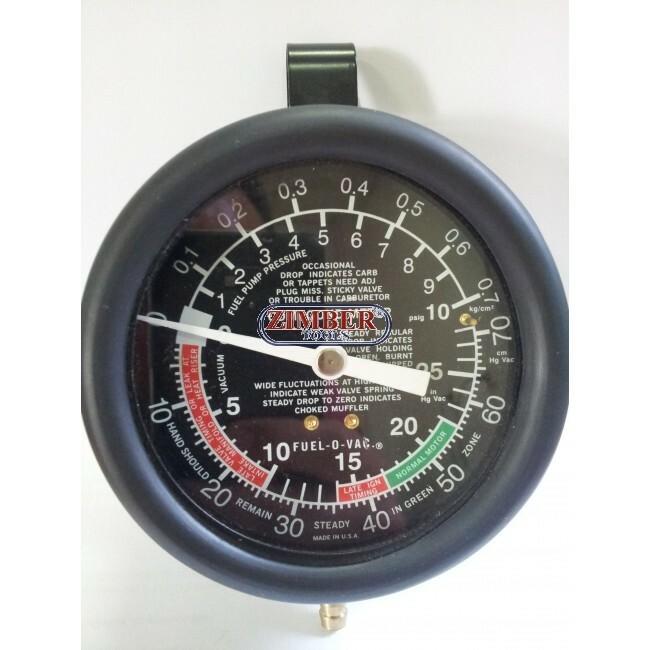 Large3-1/2"diameter gauge with color-coded easy-reading scales. Checks for worn of defective parts in fuel pump,vacuum system.